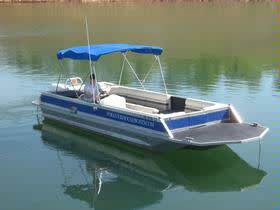 Small lightweight and, durable trailer boats made of aluminum are most often used for freshwater fishing. 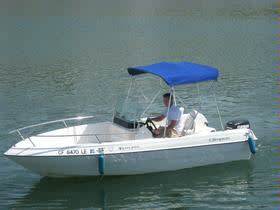 Generally very simple craft, featuring riveted or welded aluminum hulls and bench seating, they can be operated in fish-friendly places - shallow water, coves, inlets - not many other boats can reach. 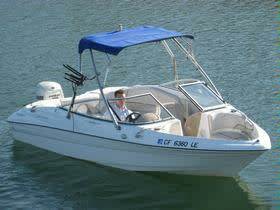 Powered primarily by outboard engines, this type of boat offers both tiller and remote steering options. Fishing is a popular activity at the lake and the 18’ Fishing Boat is ideal for a small group of fishing buddies. Common fish found in Trinity Lake include Bullhead Catfish, Chinook Salmon and Smallmouth Bass. 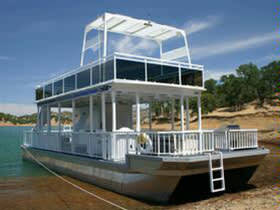 This popular style of bowrider has spacious seating for 7 adults for a fun day cruising the lake. 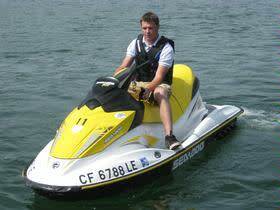 These family ski boats are great for waterskiing, tubing, wakeboarding and fishing. 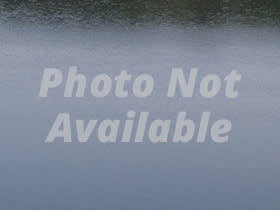 Specifications: Length 19'-20' / Draft 28"
Specifications: Length 21' / Beam 92" / Draft 28"
Some would say that this is the perfect swimming platform for Trinity Lake. Well, with a small deck on the back and a large one on the front, it sure makes it easy to get in the water, and... with a ladder with hand rails on the side, it's almost as easy to get out too! This 28' Deck Boat offers a large, comfortable seating area, a BBQ grill, and a hard top for some sweet shade in the summer. Specifications: Length 28' / Beam 96" / Draft 20"